Alice In Wonderland Earrings. Alice and pig images trapped in resin and added to silver plated ear wires. • Each earring hangs approximately 1" (2.5cm). Each image is approximately 0.8" (2cm) wide. 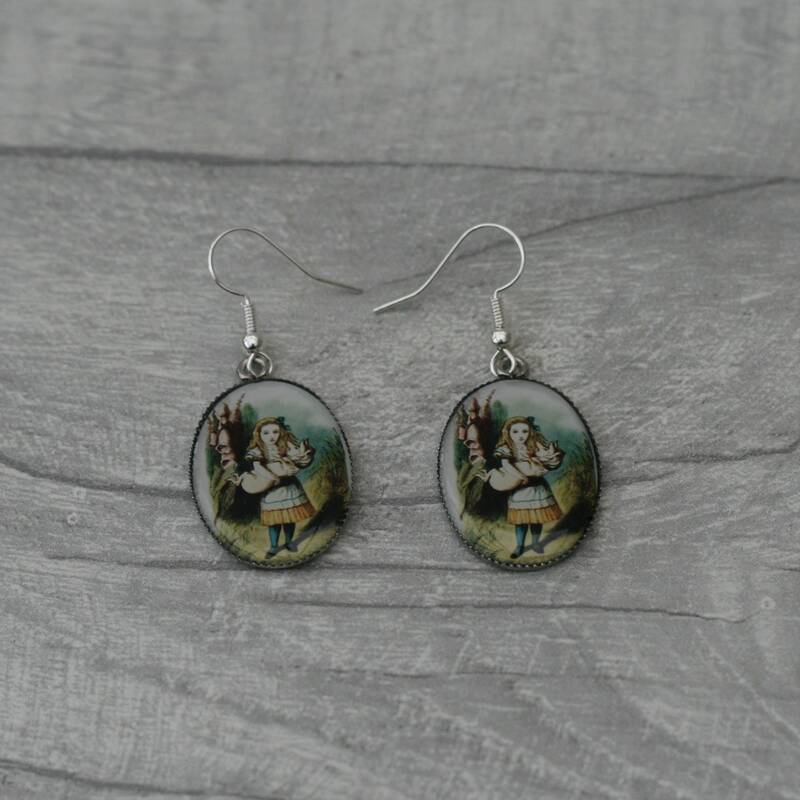 • These earrings very lightweight to wear and would suit any Alice in Wonderland loving individual.